You may have gotten yourself a new iPad, only to notice that the Instagram app is nowhere to be found in the App Store for download. Do not worry. There are only a few steps necessary to be able to download and use the Instagram app on your iPad. In this article, we’ll teach you How To Download Instagram iPad Version Fast And Easy. Why can’t I find the Instagram app on iPad? The Instagram app is optimized for smartphones and that’s the reason to why it is hard to find on an iPad. Instagram has yet to release an app optimized for the iPad’s larger screen, but as for now, Instagram’s CEO says that “Instagram is made to be used on the go” and to share pictures in real-time. According to Instagram, carrying a large iPad possibly don’t follow these criteria – although some people do carry it daily. Since the Instagram app is only available for phones and not iPads, the solution is to change from the “iPad app store” to the “iPhone app store”. 1.Tab in the App Store application. 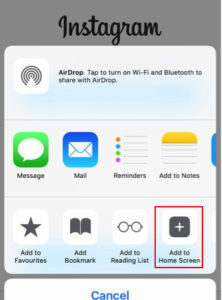 If you are just searching for it in the store, tap the “iPad Only” button in the top left corner and then select “iPhone only” instead. The small issue with this is that the resolution is built for the iPhone-sized screen and therefore will be at a lower resolution than your iPad. However, the main issue of not being able to use the Instagram app on your iPad is solved. Another method you can try is to get Instagram online on iPad. Open the browser on your iPad and type in instagram.com to visit their website. You should now be on Instagram’s official website. Tap on the Login button and enter your username and password. You now have access to your Instagram account through your iPad. To get instant access to the online Instagram version, you can add the website to your home page, making it just look like the Instagram app, only that you access it through the website. After that, tap “Add to home page“. The third method you have is to download third-party apps from the App Store that will manage the login for you. This really comes down to if you trust the creator with your login details since you will be logging in to Instagram through their app. Some examples are Padview, Flow, Retro, and Instapad. You’ll just have to try them out and see which one works the best for you and your Instagramming, but do have in mind that not all third-party apps are trusted, and some might end up stealing your login. Do not forget to follow us on Instagram @velocenetwork for the latest news.